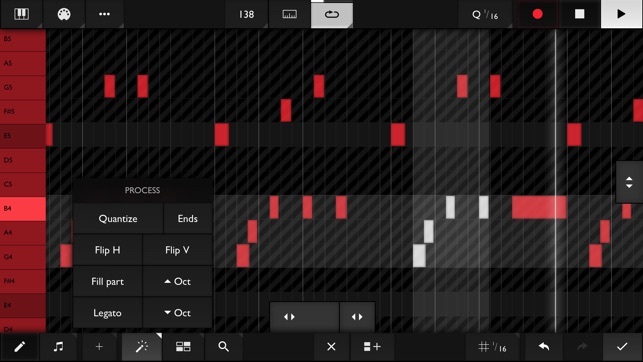 IMPORTANT: This app is targeted at MIDI enthusiasts & professionals. It is NOT suitable for casual "beat making"! 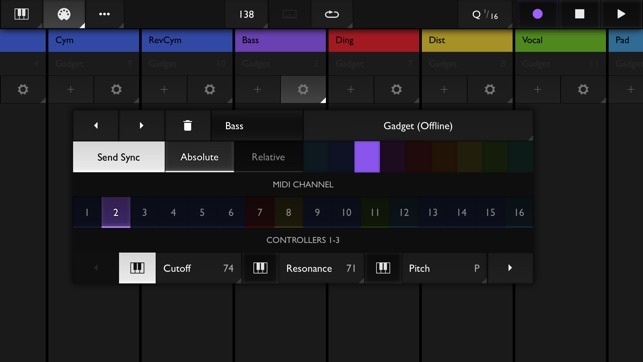 Xequence is a comprehensive, fast & stable MIDI sequencer, editor, arranger & controller for iPhone & iPad. It is the perfect companion both for hardware and for AUM & AB3 to create a modular, "DAW-like" music production environment on iOS. 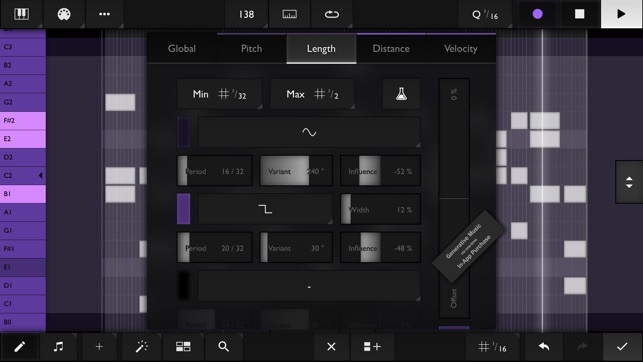 - Selection tools: Marquee/Rectangle, Same Track, Same Instrument, Linked Parts, Invert, etc. - Editing tools: Create Copy, Create Linked Copy, Unlink, Split, Join, Convert loops to parts, etc. - Selection tools: Box, Same Note, Same Key, Same Beat Position, Invert, etc. - All CCs can be controlled by sliding (ribbon), device rotation (up to three axes simultaneously), played like a button (sustain pedal, "trance gates"), or by touching the keys at different vertical positions. All highly configurable. Please report any issues via our website, we provide quick and comprehensive support! - Drum Pads: Additional Positional Velocity mode "Max at center (vertical only)", for narrow pad layouts. - Drum Pads: Added various factory maps for NanoStudio 2's Slate (all layouts), Positive Grid X Drummer and Elliot Garage EGDR 808. 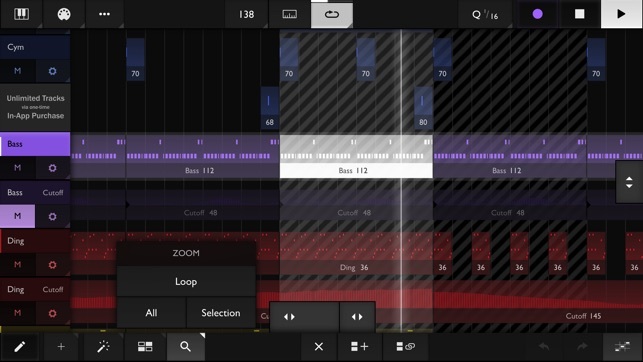 - Drum Pads: Zoom to pad (new button in the bottom toolbar) - concentrate on a single pad for more accurate finger drumming (not available on iPhone SE). - Fix a rare crash when selecting notes in the Pianoroll while certain controller input modes are enabled. 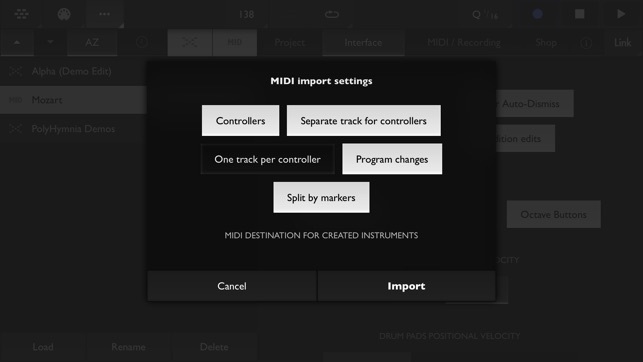 - MIDI Import: "Play through" is now automatically enabled for created parts so that "Split by markers" doesn't interrupt long notes that extend beyond an automatic split. 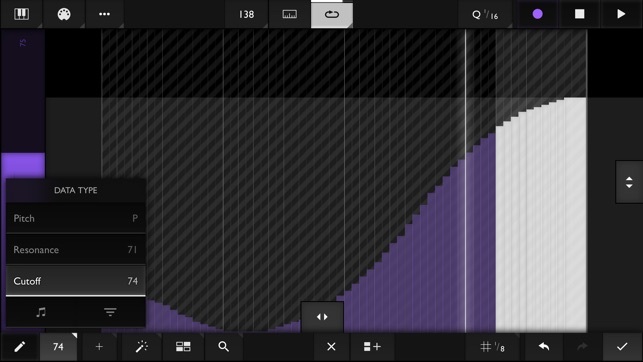 Xequence is a terrific MIDI sequencer and it’s only continued to improve over time. While the piano roll UI and note editing isn’t necessarily my favorite, all of the functionality is here, and it’s my preferred app for sequencing external gear. It has proven much less buggy than alternatives like Modstep, and many of the would-be competitors have fallen off to the side and become abandonware. 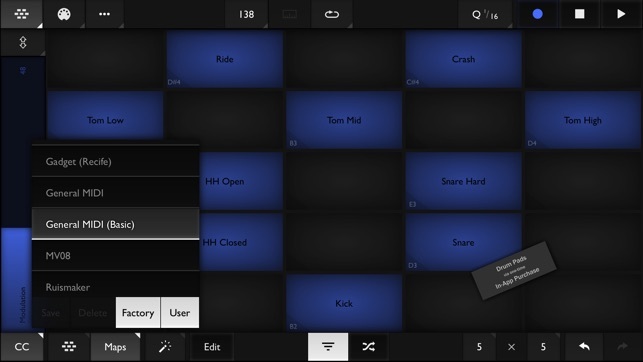 Some of the IAP’s and added features make it even more interesting - there’s a options to set up drum pads or different scales for particular sequences. And there’s a pattern generator (Polyhymnia, I believe it is called) that will generate random musical passages within parameters that you set (scale, note range, intensity, etc.). It works surprisingly well. It can be a little tricky to get everything mapped together and running, but all the functionality is there, and it’s an excellent MIDI sequencer. At last!! 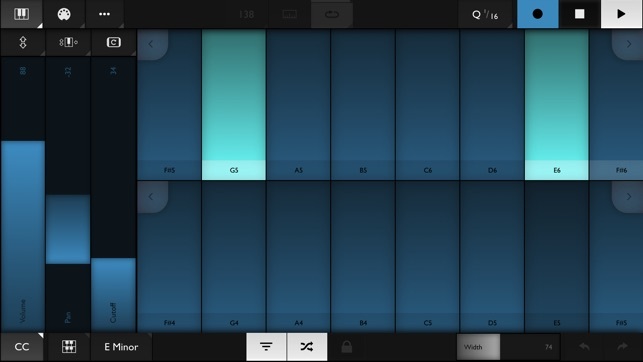 A professional sequencer that supports the iPhone as well as the iPad!!!! This thing is awesome!!! It is a work of art!! 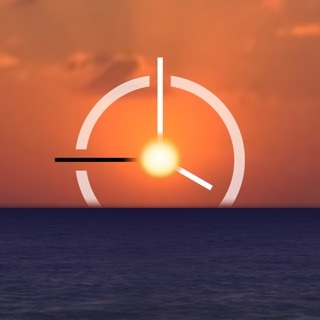 Even with a small iPhone screen, it is easy to use. Everything is well laid out. Having worked with MIDI before, I didn’t even need to look in the manual!! Music beginners do note, however, this is a midi sequencer. It is a professional tool. You will also need a MIDI instrument in order to hear sound from it. I mention this, because I worry that newbies who don’t understand what they are buying will get frustrated or upset and give poor ratings because they don’t understand how midi sequencers work—this is the real thing—not a toy!! Very full featured!! 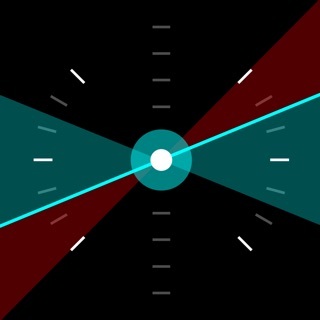 This app is one of the best things to come along in a long time to the iOS music-making community. 5 Stars!!! 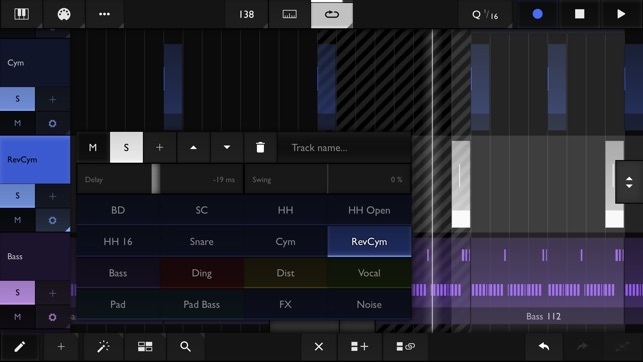 Audiobus brought our iOS instruments together, AUM gave us a place to mix and record them, and now Xequence could give us the sequencer to bring it all together. Unfortunately, Audiobus implementation is more fiddly than most apps. The dev seems to be pretty big on prescribing best practices, with most of them leading back to using Audiobus as little as possible and Xequence as an instrument host. Here’s the thing though: I don’t want to have to go to Xequence’s settings pages to do things that are simple with every other Audiobus Midi app. If I have a keyboard app that I’d like to point at Xequence through AB3, that shouldn’t take 5 steps. Really nice sequencer, though! 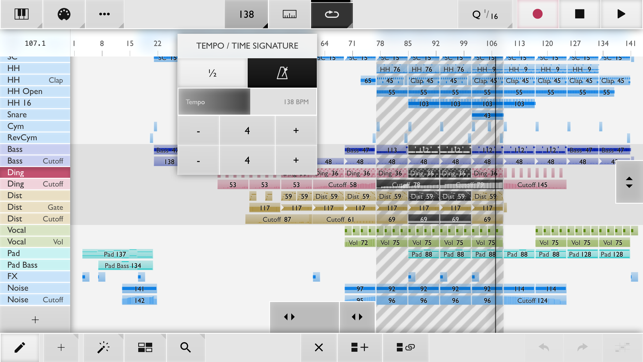 The dev has made an editing interface for touch that is really nice to use and accurate, which is a feat of usability. Thanks for your review! If you would like to discuss possible improvements to the Audiobus workflow, don't hesitate to contact us via our support page. © 2017 Seven Systems Cross-Platform Media Ltd.